This article of the constitution was incorporated to provide equal opportunities to the deprived section of the society, like the minorities who were lagging far behind in education and other areas. In a pluralistic society like India where various minorities exist with different cultures and traditions, it becomes incumbent upon a democracy to provide provisions to these minorities to safeguard their culture and traditions. It is important to note that the vision of Sir Syed Ahmad while establishing MAO (which is the nucleus of AMU) was very clear – to promote quality education among Muslims in India so that they can uplift their socio-economic condition in the society. No nation can progress if a section of its society is lagging behind in any sphere of life like education, skill development or modern technologies and thus Article 30 gives right to the minorities to establish institutions and other centres to overcome the disadvantages they suffer in these areas and acquire necessary skills to be active participant in strong nation building. Minority status of AMU should be seen in this light only. It will not only help the minorities to get quality education but also contribute to the growth of the nation by producing capable and skilled individuals. There are many legal perspectives involved in this and one can get a detailed information on it by going through a detailed blog post by Ziad Arif here. I would like to emphasise on the importance of minority status of AMU in present times. As per Sachar committee report minorities especially Muslims are lagging far behind in every sphere of life, be it education, employment, skill development or healthcare facilities. 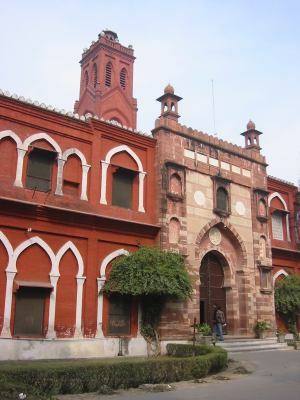 Thus it becomes all the more important that an educational institute like AMU should be provided with minority status so that it can help the minorities, especially the Muslims to bridge social gaps in education and skill development areas. Poverty is the biggest challenge to minorities as this is the prime reason behind majority of dropouts of minority students in the higher education segment. AMU being one of the cheapest universities in India, will certainly help in preventing these dropouts as minority status will grant them the right to reserve the seats for minority students. Also opening up of new centres of AMU in regions where minority population is in large number, will help combat the educational disadvantage of minority community.